Overtaker By Sib chalked up its third successive victory when topping the Premier Class race at the Marsa Racetrack yesterday. 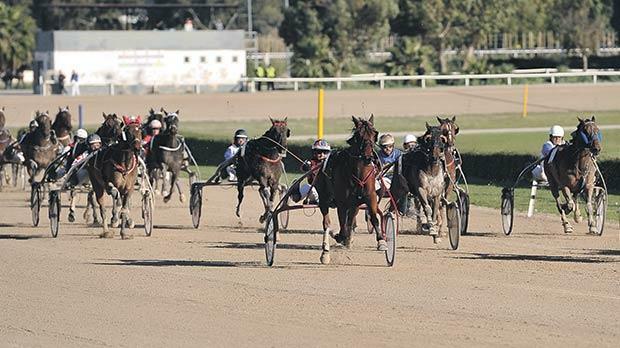 This race formed part of the seventh meeting of the season which consisted of nine races, all for trotters. Yesterday’s programme also in-cluded four heats from the Assikura Championship for class Bronze trotters on the 2,140m distance. Sixteen trotters took part in the class Premier race. As expected it was Italian Overtaker By Sib (Marco Refalo) that set the pace first, opening a half-length lead from Quattro d’Arline (Cliferty Calleja) and Donald Duck Tooma (Caillin Borg). The eight-year-old held the lead throughout the race and in the final straight it staved off the challenge of Qui Sait (Rodney Gatt) and Quebir De L’Aube (Clint Vassallo). Quiet Du Chene (Mario Fenech) finished fourth. Overtaker By Sib clocked an average time of 1.15” per kilometre. From the four class Bronze heats, 16 horses qualified for the semi-final stages. In the first heat, Pericle (Jonathan Farrugia) dashed strongly from the outside during the last 400m of the race to secure its first win of the year. Janitor (Julian Farrugia), Petrus Du Vivier (Chris Cassar) and Tinily (Mario Fenech) followed home. French Quitus Beauregard (Charles Camilleri) led all the way in the second heat. This trotter also gained its first win of the season by a length from two mares, Babycaniholdyou (Chris Grech) and Revenge Alone (Noel Baldacchino). L’Ideal De Fersan (Ian Galea) ended fourth and also qualified for the next stage. In the third heat, German mare Una Amosa (Tony Demanuele) upped its pace with a lap to go and cruised to its first win of the season from O Jensen (Charles Farrugia). Odin Vategard (Brian Hili) and Italian newcomer Oleggio (Brian Camilleri) completed the top four. Uranium Des Arkads (Kurt Saliba) stormed ahead 500m to the finishing line of the ninth race and last class Bronze heat. This French trotter passed the post first easily by a length from Nisio MRS (Noel Baldacchino). Dreamed Victory (Jason Zahra) and Quarborandum (Philip Calleja) were the last two trotters to qualify for the semi final stage. On Saturday, another racing meeting was held at Marsa and consisted of nine races. Noel Baldacchino stole the show when he managed to win four of these races. The 2015 champion driver finished first in two Class Bronze heats with Swedish trotter Classic Toll and Quersis, of France. He also topped two silver races, when driving Polytain and Lajos Bellan. Another meeting will be held on Sunday, starting at 1.15pm.